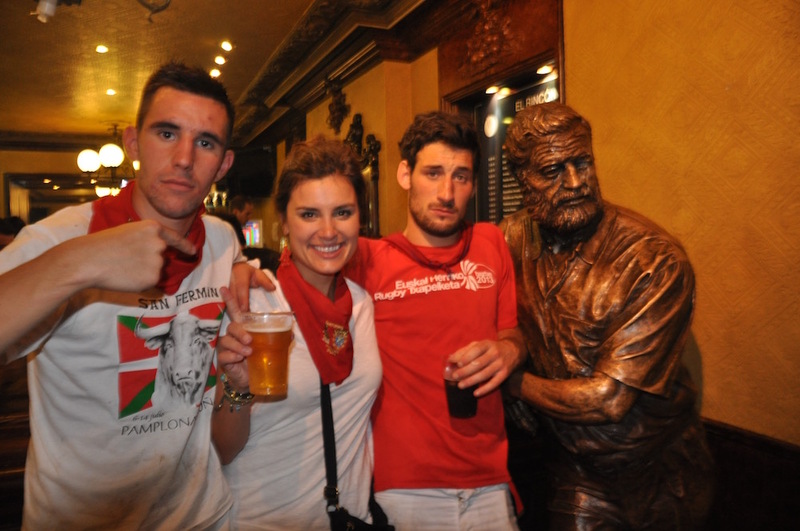 Where does Hemingway fit in with the San Fermin? Ubiquitous. That’s the best word to describe the man. All it takes is a 10 minute walk around Pamplona, and you will likely find yourself face to face with Ernest Hemingway in one form or another. Think we’re going overboard with the tributes? Then I would advise you not wander to the neighboring Plaza del Castillo, which features another statue of the great American author. 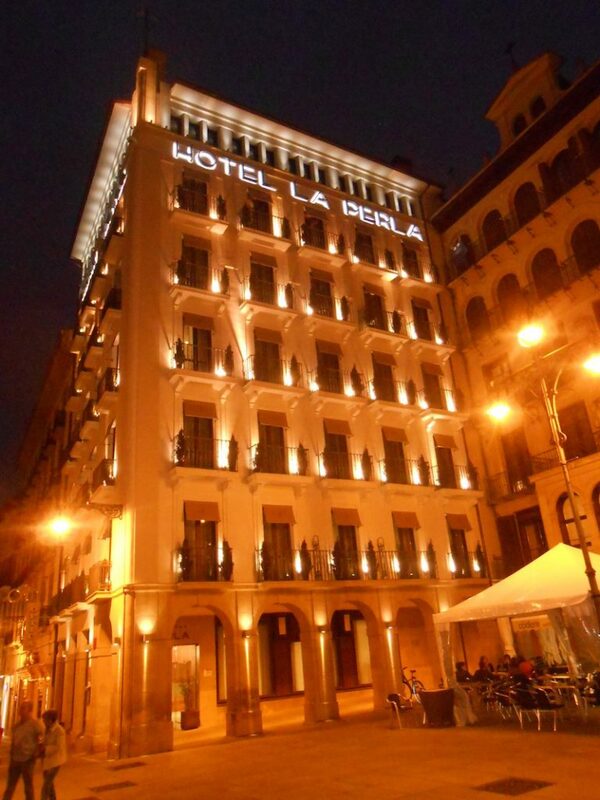 Next to the Hotel La Perla, Hemingway’s favorite hotel that has preserved the room he once frequented over 80 years ago. You get the point by now. You would think he was the mayor or President or the man who saved the city from a hostile takeover, but no. In this case, the pen is much mightier than the sword, and we’re not talking about matadors here. Ernest Hemingway is remembered for many things, but it’s his expansive travels and the books they birthed that may be his lasting legacy. These travels served as the inspiration for many of his writings, which included forays to Cuba, Kenya, and many parts of France. But it is his connection with Spain– most notably the San Fermin Festival of Pamplona – that may be the most well known in the often complicated life of Ernest. 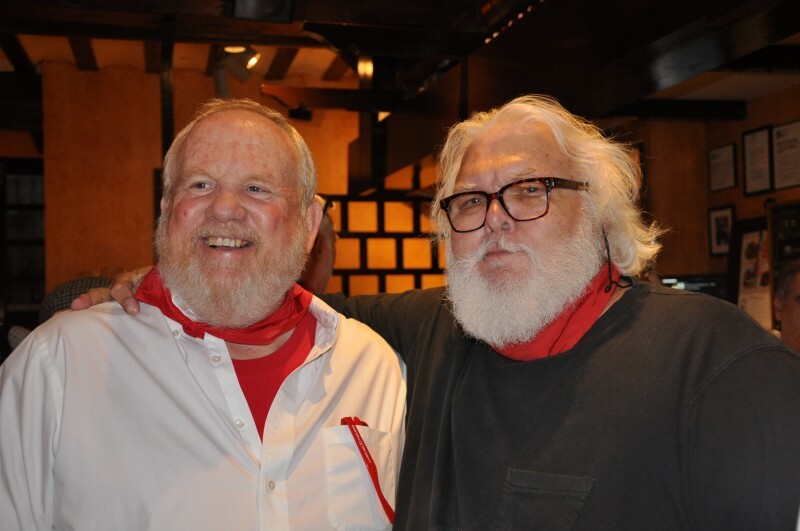 Furthermore, when you consider the chronological timeline of his publications – despite being a man who was married four times – it can be argued that Pamplona was Hemingway’s first true love. Needless to say, Pamplona loves him back. While the city’s population has grown to a respectable modern day size of nearly 200,000 people, Pamplona still has the feel of a small town. However, today’s small town feel pales in comparison to the sleepy Spanish town that Hemingway first found after World War One. Long before Twitter, Facebook, or even cell phones, society learned of the world from either word of mouth, newspapers or books. 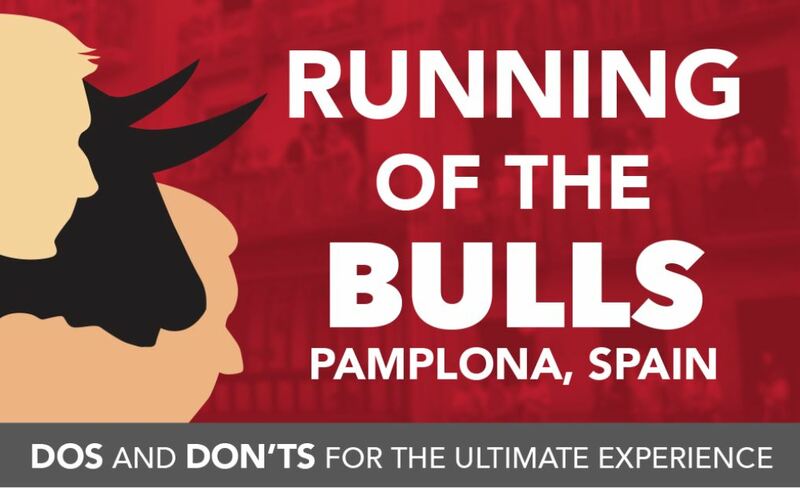 The San Fermin, which features the Running of the Bulls, had always been a local treasure just waiting for its story to be told, and that’s exactly what Hemingway did. Between 1923 and 1927, he ventured each July to the Northeast corner of Spain to take in the San Fermin. As Hemingway sipped on a glass of Sangria in 1923, Pamplona was probably not on any map published in the US. It probably would have stayed that way if he had not penned The Sun Also Rises during the Summer of 1925. But he did, and the San Fermin went from what had been a provincial party into an international phenomenon. He would attend the festival nine times in his lifetime, but sadly his view of the celebration changed over time. Ouch. That is what the kids would call, “selling out.” But while Hemingway essentially broke up with Pamplona, we’ve looked at all of the details and think he should reconsider. There is still chemistry between the two! Walk around any part of Old Town Pamplona, and you can relive the words on the pages. Like Jake Barnes, you can still sip your morning coffee at Café Iruna, “sitting in the comfortable wicker chairs.” Café Iruna itself looks like it from a time machine, and carries the same local authenticity as it did in the novel. While sitting in that wicker chair, you can gaze out onto the Plaza del Castillo, where the characters nurse their morning coffee and spill their evening wine. You’ll also see Bar Torino, better known as Bar Milano in the novel. 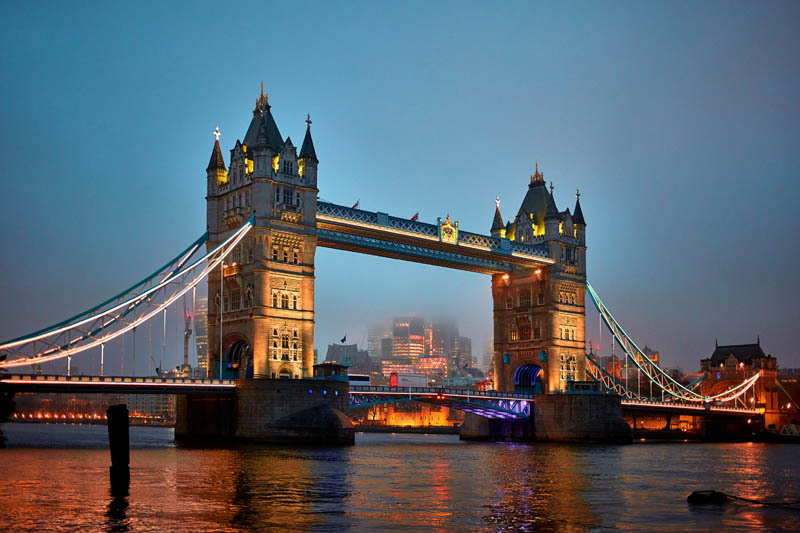 The landmarks go on and on, just like the legacy of Hemingway in Pamplona. 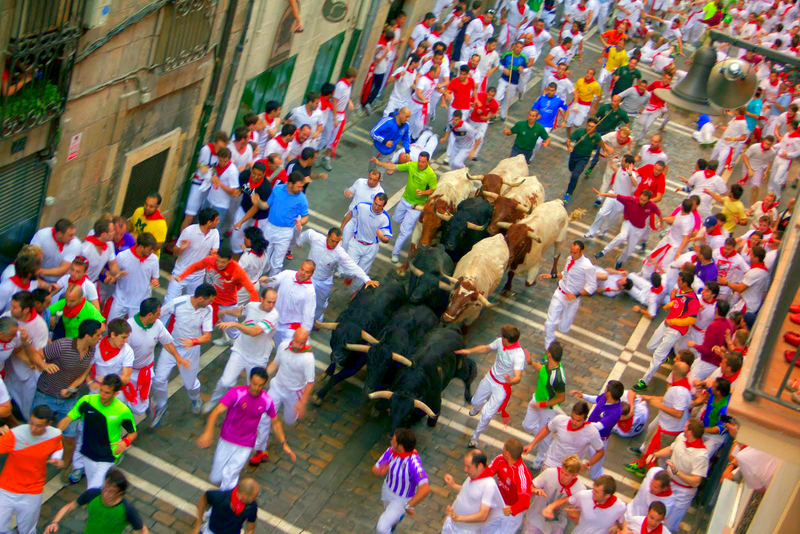 It is certainly disheartening to read that Hemingway’s love affair with the San Fermin eventually came to an end, but do not let that dissuade from experiencing the festival like his characters once did – because that authenticity is still present in Pamplona. The magic of The Sun Also Rises is still exists in Pamplona. 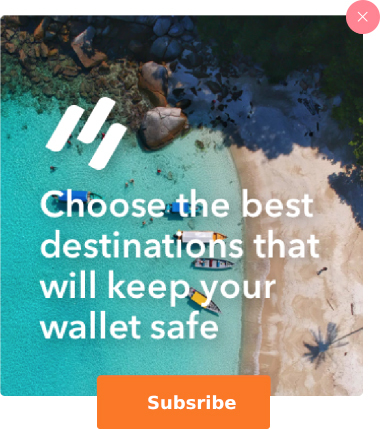 Let us show you where to find it.